Pumpkin Spiiiiiiiiiiiiiice Tiiiiiiiiime! | Food Food Food! I think anyone who took the time to browse my pinterest or my cupboards in the Fall would immediately realize I’m one of those people other people make fun of for really enjoying the emergence of pumpkin spice EVERYTHING in the Fall. I don’t apologize for it. It’s just what I like. I get a lot of joy out of this time of year – I’m not sweaty and hot when I take my walks, I like the colors changing subtly all over the Valley, I like being able to wear the sweaters/scarves that I spend all my time knitting. It makes my hard little heart so very happy. I also like all the pumpkin spice. I have yet to make it to “the city” to hit up a Starbucks for my annual PSL, but I did impulse buy a bag of pumpkin shaped pumpkin spice marshmallows at the grocery store the other day. And immediately came home and was like “what the hell am I going to do with these? ?” I’ll figure that out later. 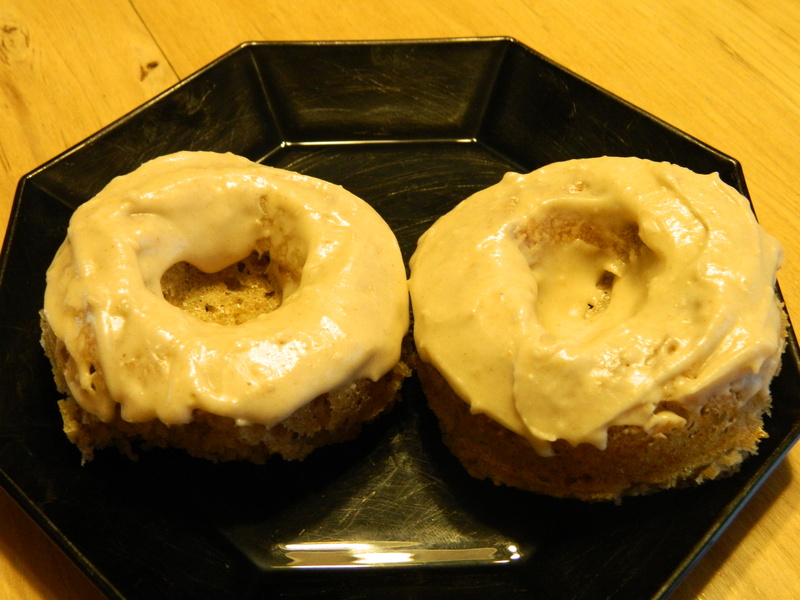 But in the meantime, I ran across several donut recipes on Pinterest and this one popped up and I realized I hadn’t yet test run my donut pan AND I found a jar of pumpkin pie spice so I thought SUNDAY FUNDAY DONUTS.